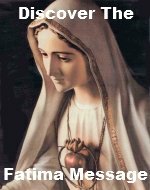 Mary the mother of Jesus"
The Glorious Mysteries are the crown of Jesus' triumphs. How exhilarating to know that Jesus is God and that He rose from the dead thereby destroying death and making you an heir to Heaven. 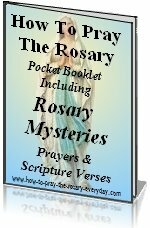 Reminding yourself of these glorious events in the Glorious Mysteries as you pray the Rosary prayer will keep your faith alive and strong. The Catholic rosary prayers are concluded with these final glorious events. Jesus resurrection is the foundation of Christian belief. After the Resurrection of Jesus, He ascended into Heaven. There He now sits at the right hand of God the Father. He sent the Holy Spirit to strengthen humankind. He took His Mother, body and soul up to Heaven then crowned her as queen of heaven and earth. The Resurrection of Jesus - Three days after Jesus is crucified, He raises gloriously from the dead. The Ascension of Jesus into Heaven - After promising to send a Helper, Jesus ascends into heaven upon a cloud. The Descent of the Holy Spirit - The promised Helper, descents on the apostle and Mary and appears as tongues of fire on the first Pentecost. The Assumption - Mary is taken into heaven, body and soul. Coronation of Mary - Mary is crowned by Jesus as queen of heaven and earth. Mary shared in Jesus' joys and sorrows. Her "yes" to God brought Jesus into the world and her presence at the foot of the cross united her to His act of redemption. She fulfilled the prophesy in the first book of the Bible. By Mary's seed, Jesus, she crushed the head of the serpent, Satan. With Jesus, Mary overcame Satan. Just as she shared in His joys and sorrow it is truly fitting that she share in His triumphs and glories by being exalted with Him in Heaven in the Glorious Myteries. Having a clearer picture of the scene and significance of the Glorious Mysteries will greatly enhance your meditation.